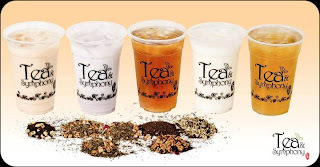 Proud to their fresh brewed tea, Tea and Symphony opens their sonata of varieties of teas to Cebuanos with their brand bearer and best seller, Tea and Symphony Milk Tea. 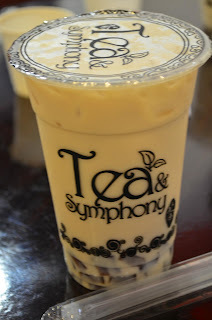 With their soft opening last February 1 and a grand blast last February 19, Kristine Jim, one of the five company owners, welcomes every villagers, students and everyone who loves Milk and experience it with Tea and Symphony. Last March 11, 2012 - saturday, the Cebu Bloggers Society Inc. members including FaceCebu.net author and special guest, Ria Jose of Davao Bloggers joined the other cebu based bloggers on a free taste event prepared by Kristine and her husband, Stanley Jim, themselves. Some finger foods, snacks actually were showcased - yummy fried chicken , fish and tofu. Most of their teas are imported from Taiwan but some of which are inspired from other Asian countries like Japan, China and others.To name an example, they have Okinawa Milktea - obviously named from Okinawa, Japan - a place which is commonly known to be top producer of brown Sugar, Okinawa Milktea is just one of the sweet line up of Milk Teas. To add blend into your Milk Tea are toppings like Aloe Vera (in cubes), Coffee Jelly, Grass Jelly, Nata De Coco, Egg Pudding and Taro Pudding. 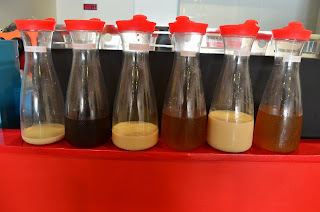 Based on the above remaining contents of teas after a tasting activity made by Cebu based bloggers, it shows that tea and symphony milk tea (bottle with smallest content) is truly their best seller. 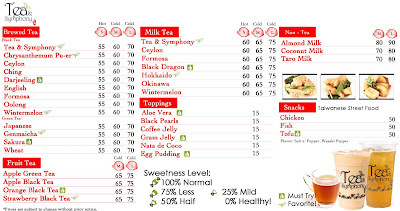 Here is the menu which you can choose your favorite Milk Teas, served in Hot or Cold, Fruit Teas and of course Brewed Tea. And for its interior, a plain white surroundings that complements Chinese color,Red makes the bar looks relaxing - an oriental with a modern twist. 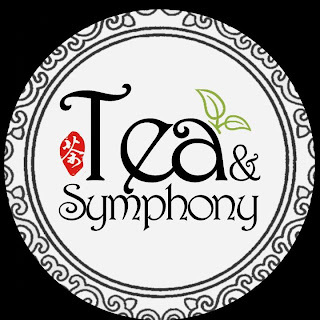 Tea and Symphony is actually located at the ground floor of University of cebu - Banilad which opens to the public on weekdays at 9:00 AM to 10:00 PM and weekends at 1:00 PM to 10:00 PM. You can contact the store if you have inquiry via Phone, +63 4161716 or Email, teasymphony@ymail.com. Parking space is available for customers. 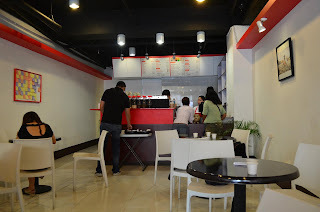 Hello, visit Jelly Citea Milk Tea and Coffee at Raintree Mall Lahug for an extra-ordinary milk tea experience. I recommend you to try Paris, New York, Tokyo, Wintermelon Milk Tea, Caramel Milk Tea and Okinawa. This is the best tasting milk tea ever. And i am so addicted to it. They also have 50% discount promo on metro deal.